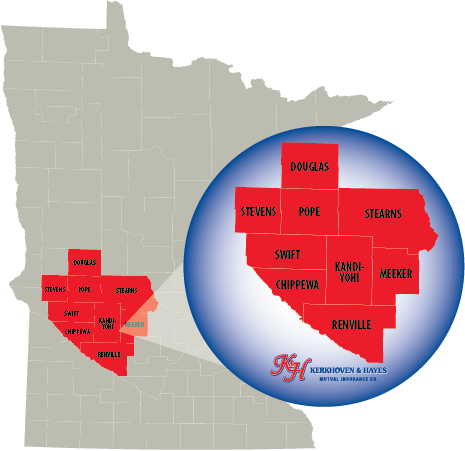 We operate in the counties of Chippewa, Douglas, Kandiyohi, Meeker, Pope, Renville, Stearns*, Stevens and Swift. * We do not operate within the city limits of St. Cloud in Stearns County.